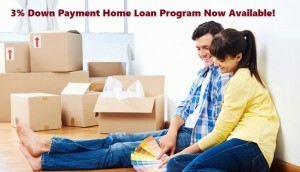 The conventional 3% down payment home loan program has been updated to help more people qualify. Are you looking for a low down payment mortgage in Dallas or the greater Texas area? Do you want to buy a Dallas Texas home and only want to put 3% down? With our conventional 3% down or HomeReady home loans you can buy your dream home with very little down payment. The 3% Down Payment Home Loan is a program which allows for a 3 percent down payment, low mortgage insurance rates, and a 100% gift from blood or by-marriage relatives. At least one borrower on the loan must be a first time home buyer for the HomeReady Program but not for a regular 3% down. We even offer this loan with Lender Paid Mortgage insurance to help keep your payments as low as possible. 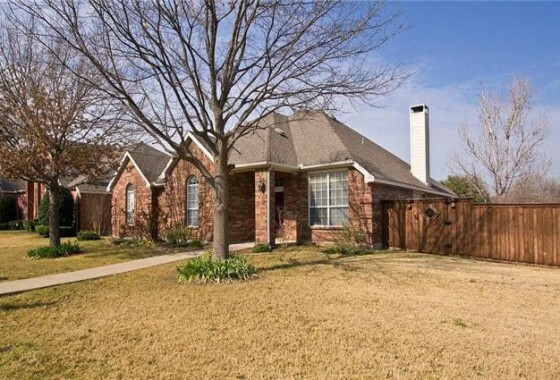 If you are looking for a 3% down payment home loan in Dallas contact The Richard Woodward Mortgage Team. Another option is a Fannie Mae version called HomeReady and a Freddie Mac version called Home Possible, both offer even better payment options but are limited by income and requires Home-Buyer Education and Counseling. The 3% down payment mortgage program, for which the 3% down payment may come as a gift, is an excellent alternative to FHA loans. In many respects, it’s more aggressive than the FHA’s mortgage in that guidelines are simpler and less-restrictive. FHA offers as 3.5% down payment and with VA and USDA home loans, buyers can buy with no down payment at all. The 3% Down Payment Home Loan program requires a 3 percent down payment plus closing cost. The 3 percent minimum is based on the lower of the home’s appraised value or purchase price. 3 percent on a $200,000 home purchase is $6,000 for down payment. Closing cost, tax and insurance escrows, and 1st years insurance is also do at closing but can be paid by the seller if negotiated. Is the 3% Down Payment Home Loan program “cheaper” than an FHA mortgage? Yes, in many cases, the 3% Down Payment Home Loan program is less expensive than an FHA mortgage. This is because the 3% Down Payment Home Loan program does not require an upfront mortgage insurance premium, and because it’s annual mortgage insurance rates are often cheaper, too. Mortgage rates are often comparable. Can I use the 3% Down Payment Home Loan program for a mortgage refinance? Yes, Fannie Mae allows homeowners to use the 3% Down Payment Home Loan program for rate-and-term refinances. If you plan to use the 3% Down Payment Home Loan to refinance a mortgage pre-dating June 1, 2009, however, consider the HARP refinance first. HARP is a mortgage for underwater homeowners and may offer better loan terms, overall. What is the maximum loan size allowed with the 3% Down Payment Home Loan? 3% Down Payment Home Loan mortgage program is capped at a $424,100 loan size in Texas. What income documentation does the 3% Down Payment Home Loan mortgage program require? The documentation requirements for a 3% Down Payment Home Loan loan are the same as for any other Fannie Mae-backed mortgage. Mortgage applicants should expect to provide recent paystubs, two years of W-2s and federal income tax returns; as well as the last two months of your bank statements and other relevant paperwork. Can I choose the 15-year fixed rate mortgage with the 3% Down Payment Home Loan program? Yes, the 15-year fixed rate mortgage rate is available to home buyers and refinancing households using 3% Down Payment Home Loan. Is private mortgage insurance (PMI) required with the 3% Down Payment Home Loan mortgage program? Yes, the 3% Down Payment Home Loan program in Dallas and Greater Texas requires that all borrowers carry mortgage insurance. For how many years must I pay PMI via the 3% Down Payment Home Loan program? The 3% Down Payment Home Loan program is via Fannie Mae, which means that PMI requirements follow Fannie Mae rules. Via the program, private mortgage insurance must only be paid until the home reaches 80% loan-to-value, and so long as 12 months have passed from the start of the loan. Does 3% Down Payment Home Loan require upfront mortgage insurance, like an FHA loan? No, the 3% Down Payment Home Loan program does not require upfront mortgage insurance premiums like an FHA loan. It only requires annual mortgage insurance, paid monthly, until such time as 12 months have passed and the home reaches 80% loan-to-value. We offer a no mortgage insurance option as well. Instead of paying the mortgage insurance each month we can buy it for the borrower and include it in the interest rate. This usually increases the interest rate by one to three percent. Another option is to purchase your mortgage insurance at a discount in one lump sum at closing. Then the borrower will not have monthly mortgage insurance. This is best for borrowers planning to remain in the home and mortgage for greater than 5 years. Does the 3% Down Payment Home Loan program require minimum credit scores? Yes, the 3% Down Payment Home Loan program requires a minimum credit score, which varies by down payment source. All mortgage applicants must show a credit score of 660 or better. Your credit score is based on the middle of your three credit scores, as reported by the major credit bureaus TransUnion, Equifax and Experian. Who does the 3% Down Payment Home Loan consider to be an acceptable “donor” for gift funds? 3% Down Payment Home Loan restricts from whom a buyer can accept gift funds. Buyers can accept from a relative, which includes a spouse, child, or anyone else related by blood, marriage, adoption, or legal guardianship. Gifts may also be accepted from a fiancé/fiancée or a domestic partner. Does the 3% Down Payment Home Loan program enforce a maximum Debt-to-Income (DTI)? Yes, the 3% Down Payment Home Loan mortgage program enforces a maximum DTI, which varies by down payment “source”. Mortgage applicants making a down payment from their own funds may not exceed 43% debt-to-income via the 3% Down Payment Home Loan program. Mortgage applicants accepting gift funds for a down payment are limited to 41% DTI. Debt-to-income is calculated by dividing your total monthly debt obligations into your total verifiable monthly income. How long does it take to close with 3% Down Payment Home Loan financing? 3% Down Payment Home Loan program takes no longer to underwrite than any other conventional mortgage. My lender doesn’t offer the 3% Down Payment Home Loan program. What do I do The 3% Down Payment Home Loan mortgage is a specialized program and is not available through via all mortgage lenders. If you’ve been turned down for the 3% Down Payment Home Loan mortgage by your primary lender, just apply again here. You’ll likely find a different outcome. How Do I Apply For The 3% Down Payment Home Loan program? The 3% Down Payment Home Loan program is not a new program. However, it’s a decidedly cheaper option as compared to the FHA. The Federal Housing Administration has raised its mortgage insurance rates so many times that its benchmark product has moved to second place. If you’re buying a home and plan to make a low down payment; or refinancing one and have little home equity, look to the 3% Down Payment Home Loan program. It’s fast, it’s cheap, and the rates are great. The information provided on the 3% Down Payment Home Loan program is intended only as general educational information regarding the program. An in-depth consultation with Richard Woodward Mortgage Team is necessary to determine if the program is appropriate for your individual circumstance.